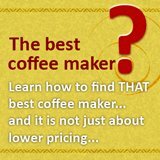 The second Bunn coffee maker review focuses on Bunn VP17-2 one of Bunn’s popular commercial coffee maker. -Stainless steel water tank and thermostat preheats the water to the optimal brewing temperature. -Unique spray head that extracts flavors efficiently. 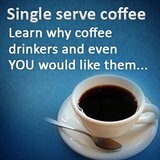 -Brews almost 4 gallons of coffee per hour / 12 cups of coffee in a couple of minutes. -Completely portable. Requires no plumbing. -It comes with 2 warming plates. If you have ever eaten in a donut shop, fast food joint, diner, or restaurant, you have probably seen this machine. 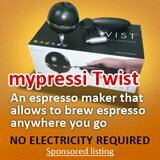 This machine does one thing, and does it really well and fast, which is to make perfectly brewed coffee. Using Bunn’s patented brewing technology, this machine keeps 2½ loads of water at brewing temperature constantly. Therefore, this eliminates the wait time for heating water. 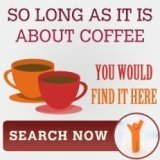 Added with the unique spray head design that takes less time to extract flavors efficiently, this bunn coffee machine can brew almost 4 gallons of coffee per hour, which is a massive amount of coffee in such a short time. This machine was built with simplicity and efficiency in mind. The switches on the front are for the warming plates. The machine starts to brew the moment you pour water in with the supplied water pitcher at the top of the machine. There’s no need for plumbing, making the machine is completely portable. The Bunn VP17-2 is easy to clean and maintain as well. The stainless steel body makes it very durable. The spray head is easy to unscrew for rinsing out. Unscrewing the spray head gives you access to water delivery tubing, which you can ream out with the supplied de-liming tool. 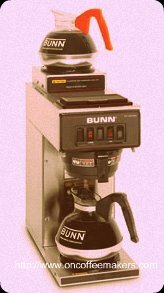 Most important of all, the Bunn VP17-2 makes perfectly brewed coffee. It works so well that it’s not just used for commercial use. Some coffee enthusiasts have indulged in this machine for home use.